A family friend says one of the victims killed in a shooting at a drugstore distribution center in Maryland was a mother of two who had recently moved to the U.S. from Nepal to try to give her kids a better life. Harry Bhandari is a community leader and candidate for state delegate who says he has known 41-year-old Brindra Giri’s family for about 10 years. Authorities on Friday identified Giri as one of the three people killed when an employee opened fired at the Rite Aid facility in northeast Maryland. Bhandari was at a funeral home Friday helping Giri’s family make arrangements. He says her relatives are devastated. A Maryland sheriff says investigators have found evidence that the woman who killed three people and wounded others before killing herself at a drugstore warehouse was suffering from a mental illness. 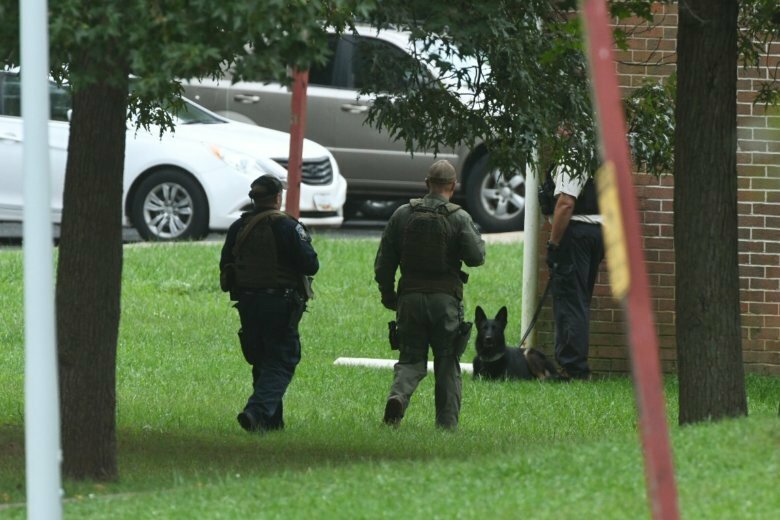 Harford County Sheriff Jeffrey Gahler told news reporters Friday that the suspect, 26-year-old Snochia Moseley of Baltimore County, had been diagnosed with a mental illness in 2016. He would not give any more specifics about her diagnosis. He said in recent weeks Moseley had become increasingly agitated, and relatives had been concerned for her well being. Gahler said she used a handgun that she legally purchased in March to fire a total of 13 rounds on Thursday morning, and died after shooting herself in the head. Workers say they endured terrifying moments of wild gunfire as a woman working a temporary job at a drugstore warehouse in Maryland fired on colleagues with a handgun, killing three people before fatally shooting herself. Authorities said the shooting erupted Thursday morning after the worker got into an argument, sending screaming workers running from the Rite Aid distribution center after it ended. The sheriff says three people were fatally shot and three more were wounded and expected to survive. He says the woman died at a hospital of a self-inflicted gunshot.